Much like Negan's bat, "Walking Dead" viewers were thirsty Sunday night. 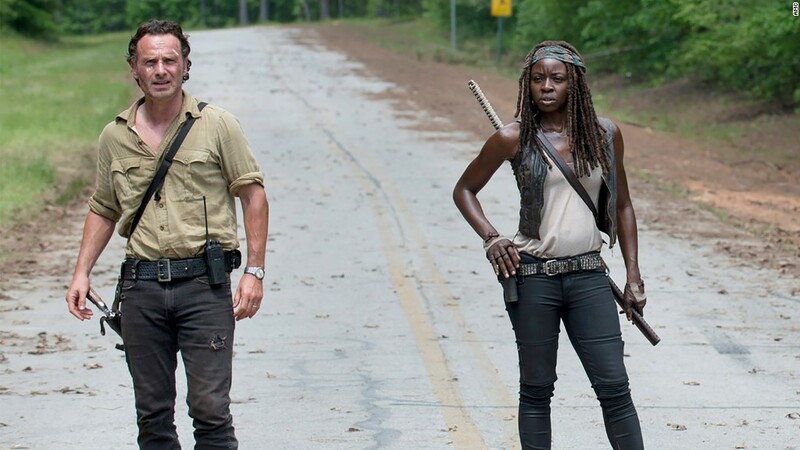 AMC's post-apocalyptic hit series brought in an average of 17 million viewers for the premiere of its seventh season Sunday night. That's a huge number by any measure, but it's even more notable than it might seem on first glance. The premiere missed the series' record ratings by just 300,000 viewers. It also saw a 20% boost compared to last year's finale and a 16% uptick from its debut last year -- it put up this number after seven years on air, which is a rare feat, especially in the crowded TV climate. The episode also nabbed this audience despite going against the biggest thing on TV, the NFL, and nearly beat it. The 6-6 tie between the Seattle Seahawks and Arizona Cardinals on NBC's "Sunday Night Football" brought in an average of 17.7 million viewers. Negan and his bat, Lucille, were a big hit for AMC on Sunday night. And the numbers for the premiere could grow even larger once delayed viewing is taken into account. 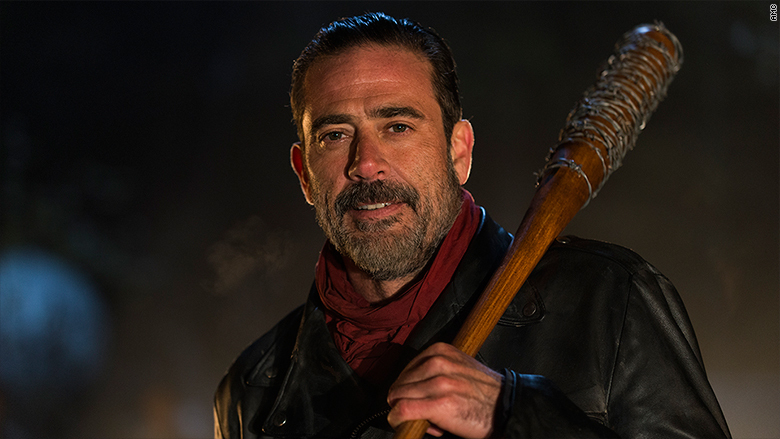 The premiere's ratings were driven in large part by it being one of the most anticipated episodes in the show's history with fans tuning in to see which character got to meet the wrong end of villain Negan's barbed-wire covered bat, Lucille. The horde of viewers tuning in also bled into AMC's "Talking Dead," a post-episode live talk show. "Talking Dead," which was expanded to 90 minutes for the night, brought in a record 7.6 million viewers.